Pioneer Woman Cinnamon Rolls – The Perfect Gift! So yesterday I blogged about the Crockpot Apple Butter I made. Well, though it’s a great gift, I wanted to do a bit more for our neighbors. 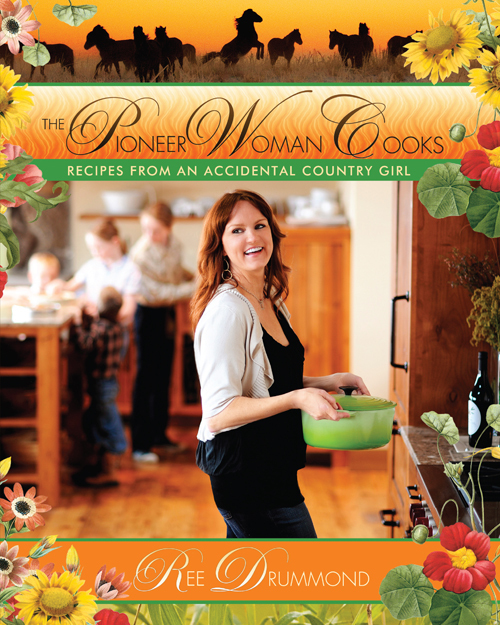 Enter The Pioneer Woman….. Oh, you haven’t met the lovely Ree? She is lovely and so are her recipes. You might get a bit fat if you ate her food all the time but it IS Christmas. Last Christmas I received Ree’s book “The Pioneer Woman Cooks” & ever since I have wanted to try her cinnamon roll recipe. Unfortunately it makes 40-50 (!) cinnamon rolls. That is WAY to many for me to make normally but at Christmas it is PERFECT! Because I am being quite LAZY tonight I will send you over to Pioneer Woman land for the recipe. Before you go here are a few pictures from my very own kitchen…..
After adding the ooey gooey icing. A few helpful hints…..round foil pans with lids are PERFECT for this. No matter how ugly your rolls are when you cut them, they turn out beautifully…..oh and these are DIVINE. You will question giving away a single, solitary pan even though it makes at least 6 pans! You are here: Home / Recipes / Breads / Pioneer Woman Cinnamon Rolls – The Perfect Gift! I have yet to make her cinnamon rolls (but know they'll be awesome!). I'm thinking maybe cutting the recipe in half. That's a LOT of cinnamon rolls, which is what made me shy away when I first read it too. In any case, yours came out beautifully, I'm feeling inspired now :)! You don’t need to bake these all at once. Just put in the pans, cover (or wrap with saran wrap) and freeze. Then when you need them take them out of freezer (night before and left in fridge would work), set out to rise a bit and bake.